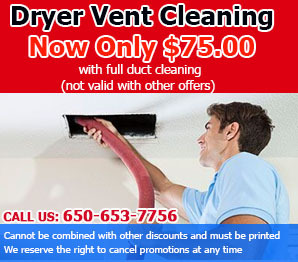 Are you aware of the range of services provided by Air Duct Replacement San Mateo Company? 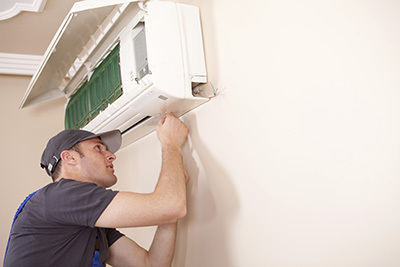 Our company offers air duct repair and replacement in addition to cleaning and testing services. For the latest smart tips and tricks about keeping the air indoors fresh. You will scarcely find a place, which concentrates so many different characteristics like California. If there is too much dust in the house or someone at home is suffering from an allergy, then it's time to get our experts to perform complete air duct cleaning services. You may be located in any part of California, we are always ready to assist. 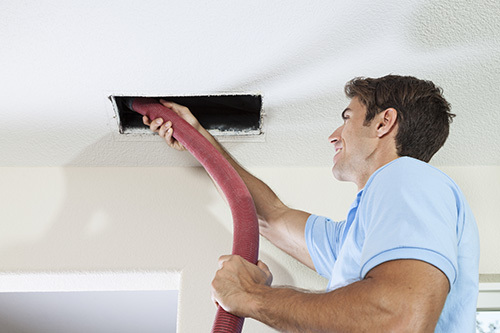 Professional air duct cleaning company providing top quality services for homes and offices, and helping improve the efficiency of all heating and cooling systems. San Mateo is a suburb of San Francisco and life is good. San Francisco ranks among the finest cities in the world and though it is easy to take for granted things that are literally on the doorstep, nevertheless people from San Mateo enjoy being part of it. At commercial air duct cleaning San Mateo though we have work to do and that is to ensure that everyone’s ventilation systems are working efficiently. Business, particularly those depending on the public has a responsibility to maintain good indoor air quality and in the heat of the summer that is very important indeed. The smoking legislation in California has of course been a help in providing a good atmosphere but it is still important to ensure ventilation systems are clean to prevent stale air from forming. The major problem to good indoor air quality is the dust that gathers in the air ducts. Every business employs cleaners to ensure that when the doors open in the morning all the dust that has gathered on sills and work surfaces, mirrors and chairs has been cleaned up. Unfortunately that same dust penetrates the air ducts at a rate of three pounds a month for a large house so large commercial premises may have quite an accumulation when we receive the call to come to do the air duct cleaning. We begin by establishing the indoor air quality; it is likely to be very poor if the air ducts have not been cleaned for some time. As long as there is no damage to the vents themselves and the joints and seals are good, the air ducts should only really contain dust and perhaps some dirt attached to the air duct walls. We use a vacuum to remove the loose dust and that vacuum is also strong enough to dislodge dirt from the air duct walls. The final thing before the ventilation can be turned back on is to brush any dirt from the vent grills. The difference in air quality is immediate. 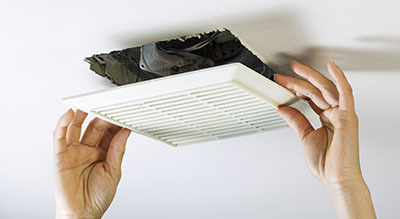 Clean air ducts make the system as good as new; there is no need for aerosols to hide the odor of stale air. The bonus is that a clean system runs much more efficiently than a dirty one; it is perhaps a difference of 40% which will be reflected in future energy bills. It makes sense for any business preparing an annual budget to include under repairs and maintenance air duct cleaning. There is that saving on energy anyway and particularly those businesses that depend on public patronage need to produce an environment that people will look forward to returning to time and again. We are a service company that depends on the quality of our work; our reputation depends on the promptness of our response to an enquiry, the standard of our work on site to create good indoor air quality and the advice we offer about how to ensure that there will be no future problems. We will give you our opinion on how frequently you will need a commercial air duct cleaning company, and of course we hope it will be us. We are just a call away whether you are a new customer or not; we will treat you as we treat our old friends who are responsible for the good reputation we have earned.